It is actually there, just beyond the young spruce. You are looking north across it. 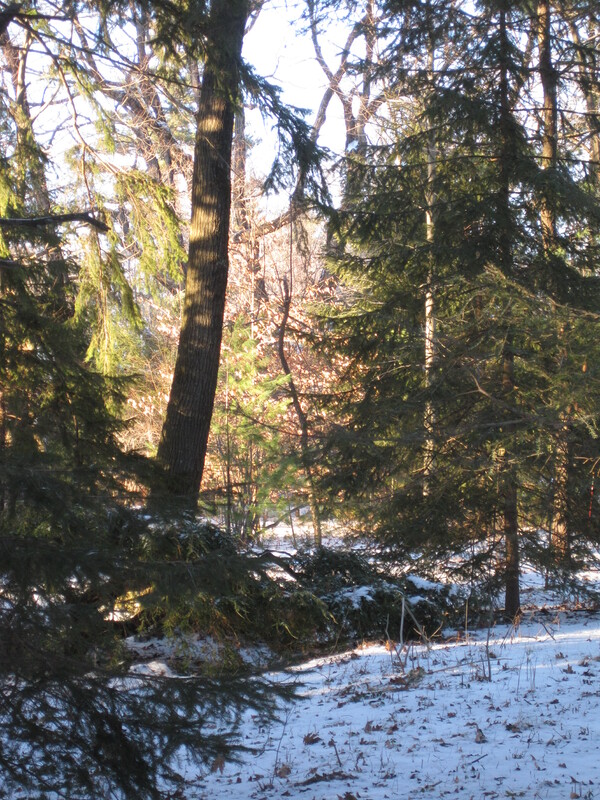 The odd, low evergreen is the Sargent’s Weeping Hemlock, looking flatter than usual due to ice. The curvy snag dead center is on the other side of the driveway. It actually is alive, it is a badly broken black cherry, I really need to prune its top if I am going to keep it.